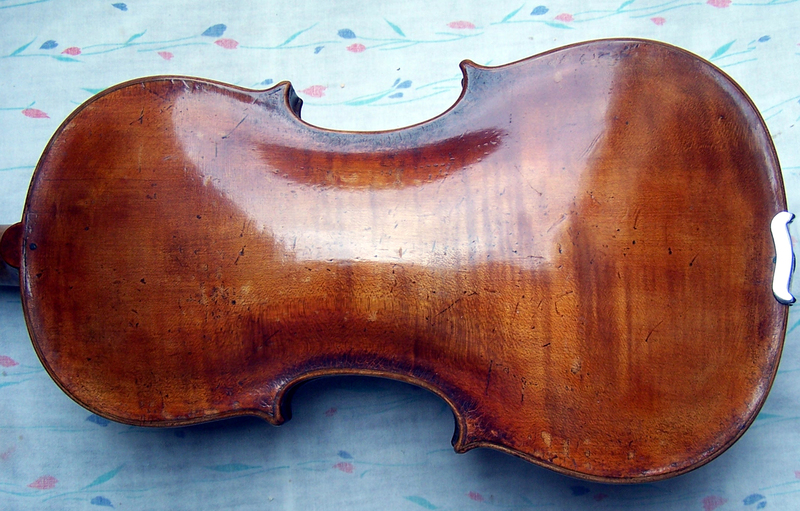 Johann was an actual violin maker born at Vienna in 1790, a pupil of Geissenhof. He settled at Budapest in 1825 and died in 1865. 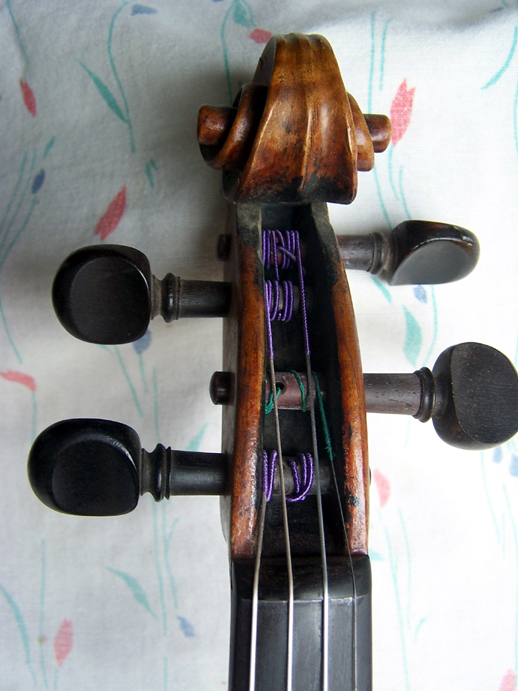 He made many fine instruments, copying most of the Cremonese makers, but had a preference for the Amatese model. Unfortunately his label has been attached to many inferior productions--made extensively by factory merchants in Saxony and the Tyrol. 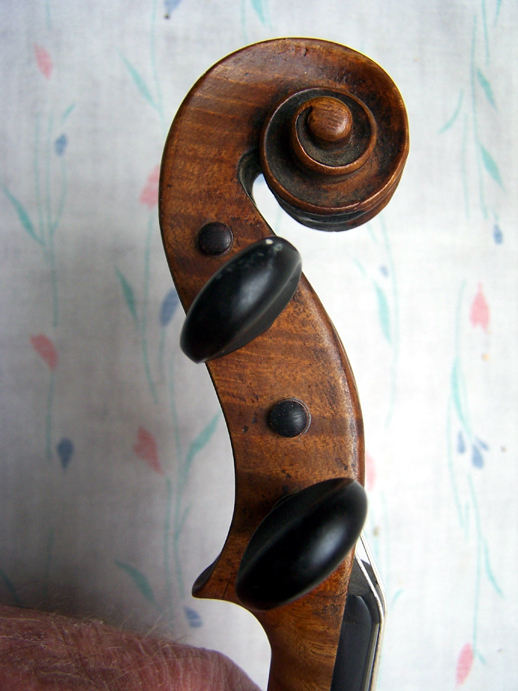 The violin shown on this page was most likely made in a small factory in Markneukirchen, Saxony, and never saw the hand of J.B.Schweitzer. 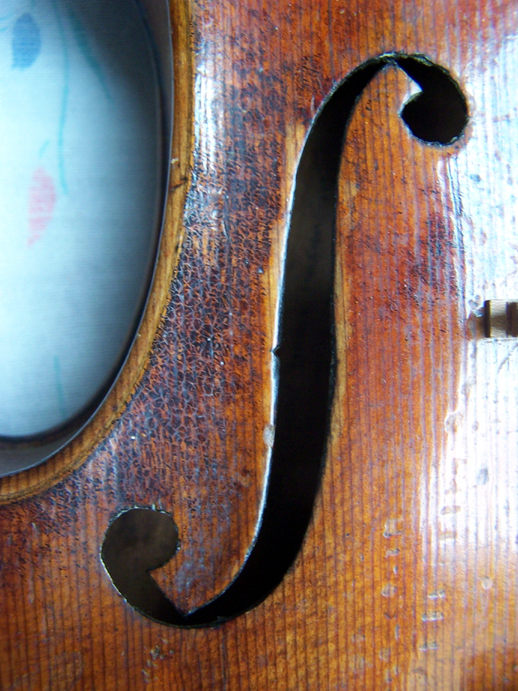 The violin is well made with brown-red varnish over a golden ground, antiqued in the usual way seen in Saxon made instruments. 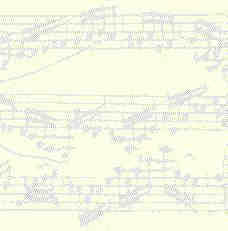 The two-piece spruce top is filled with hazel, also know as "bear claw" figure, which is highly desirable in violins. The straight spruce grain is fine and widens at the periphery of the outline. The one-piece maple back has even fine flame, slanting downwards from right to left. The instrument is in very good condition and the tone is robust with quick response and easy playability. 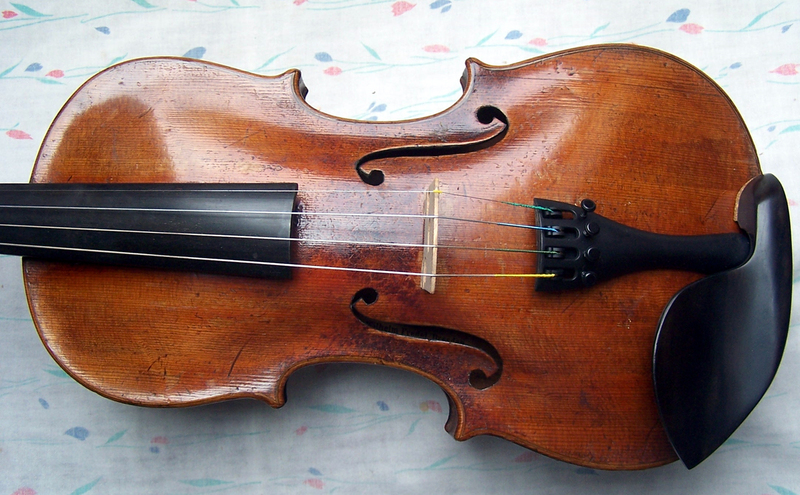 The violin was sold to Jane Channing Showalter from Washington State.